Often, it's important to be able to see what and when changed in database schema. 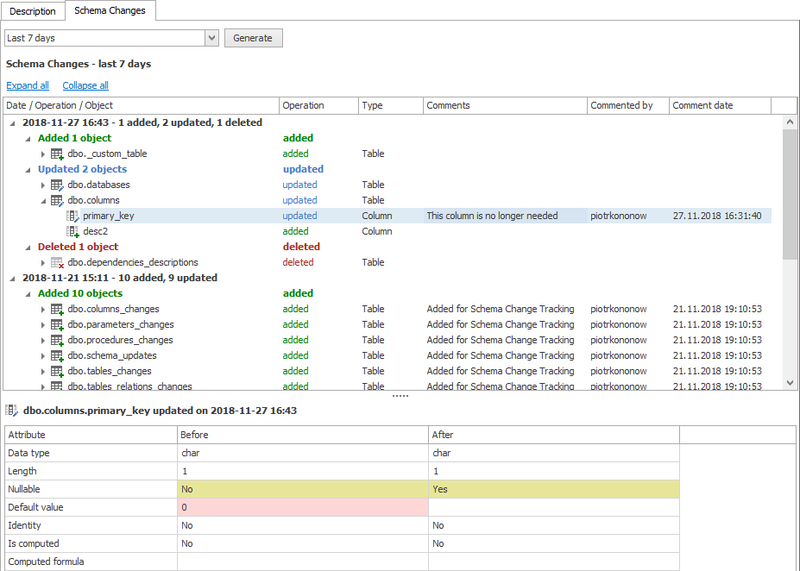 From now on, in Dataedo Enterprise there is an option to enable tracking of schema changes. 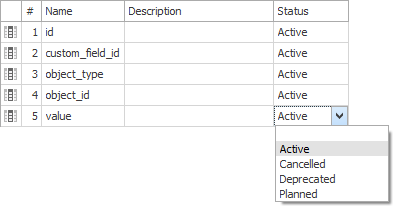 Previously, even if multiple cells were selected in a grid, data was only copied and pasted to a single active one. 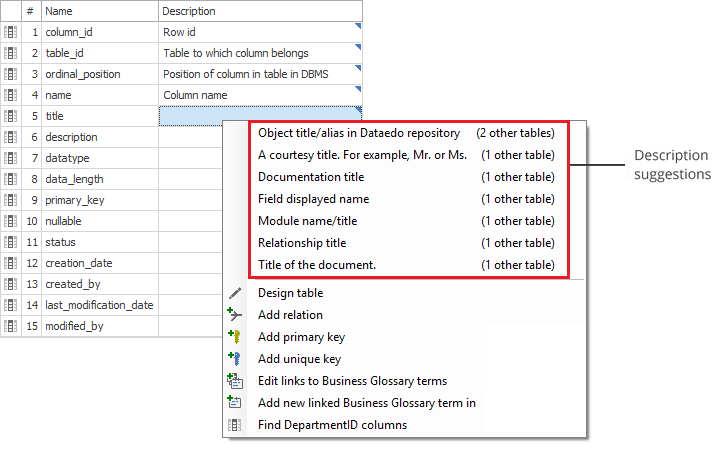 In Dataedo 7.2 all selected cells can be copied and pasted to. 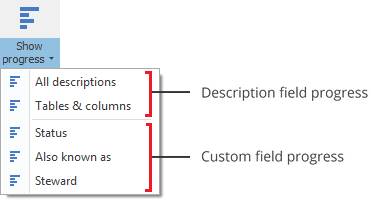 Non-editable fields will be skipped when pasting data. DB2 support was added in Dataedo 7.1. In 7.2 we fixed some issues with import from DB2 Cloud. Additionally, we have added support Db2 connection from command line.